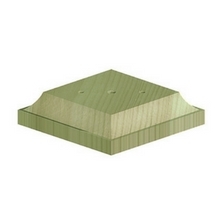 Post Caps are great for finishing off as well as offering protection, and we offer a range of timber & metal versions top off your fence posts. Please also see below our range of fixings and be sure you can get everything you need to complete that fencing project at your local Sydenhams. Click here for more information on our Post Fix. 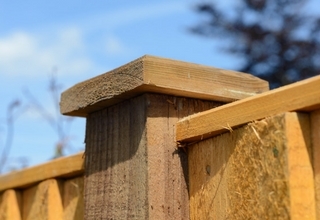 The cap is pressure treated offering added protection to the fence post. Available in a Brown or Green colour. In a Brown or Green colour. 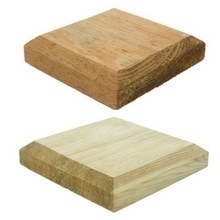 Made from premium quality slow grown European timber, pressure treated to UC4. 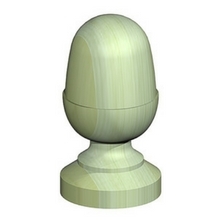 Decorative acorn finials manufactured from slow grown pine, available in green. 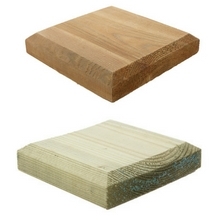 Sizes to suit 3" and 4" posts. 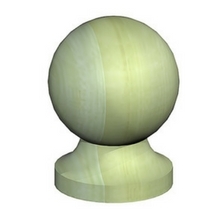 Decorative ball and collar finials manufactured from slow grown pine, available in green. Sizes to suit posts from 3" to 4". 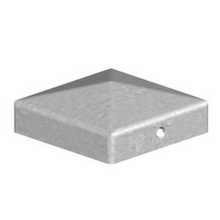 Durable steel post cap, the perfect finishing touch for any post, available in galvanised steel. 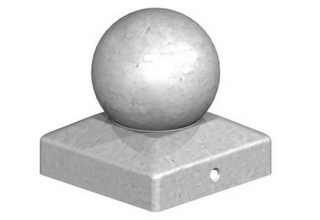 Durable steel ball finial, the perfect finishing touch for any post, available in galvanised steel. 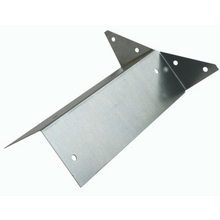 The L-Shaped Clip is an easy way to secure fence panels, heavy duty trellis or gravel boards to timber posts, and are galvanised for a long life. 1111 - 50 x 25 x 25mm. 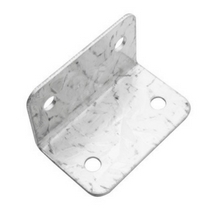 A robust galvanised arris rail bracket for use with featheredge fence panels.